Hi everyone! Today I tried to update my game "The Sims 3" in the Origin app, but when I select "Spanish, Spain" It shows up the following message "Origin has denied access to the following file or folder: C: \ Program Files ( x86) \ "
I would like to know if it is a problem of the app (Origin) or it is a computer problem. In any of the 2 cases what should I do. Before anything, thanks to everyone. Finally, I saved the folder of the sims 3 on the desktop (with mods and everything) and I have uninstalled both the game and the Origin app. I installed the game and then It automatically installed the origin app. 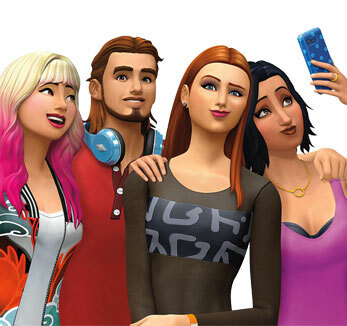 And instead of updating it from the game launcher, I have done it with origin and I have copied the folders of the desktop with the saved games and the mods in the new folder of the sims. After this, everything worked perfectly, it even allowed me to install from Origin a package of accessories and it fit well with everything. However, thanks @Holger1405 and @puzzlezaddict for the help. @CARLOSMLXD Try running Origin as an administrator. If that doesn't help, let me know and I'll get the Origin expert on the case. Hi @puzzlezaddict ! Thank you for the answer. I try several times, but always shows up the same message. I will thank you if you will get the Origin expert on the case. If so look if you have the "controlled folder access" of the Windows Defender enable. If so disable it > Test. [Guide] > Scroll down to "Use the Windows Defender Security app to enable controlled folder access"
You can configurate the access to specific folders if if you don't want to shut the entire "controlled folder access" down by pressing the Windows key and "i" > Update & security > Windows Security > viruses & threat protection. Press the Windows key and "X" at the same time > Click on "Command prompt (Administrator)" or "PowerShell (Administrator)"
In the CMD or PowerShell window, at the prompt, type or copy and paste: takeown /F "C:\Program Files (x86)\Origin" (With the quotes) > hit "ENTER"
You should get a success message.